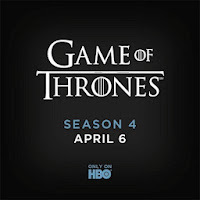 In case you missed it HBO released its first (I am sure there will be many more) trailer for Season 4 of its hit series "Game of Thrones". The show starts again on Sunday April 6. Enjoy the trailer below the jump if you are into that sort of thing. And as always if you happen to have read all of the books or be one of those know it all people who just looked up the published books' endings, kindly do not ruin it for everyone else, who may wish to watch the series in unspoiled anticipation. The Red Wedding may have been the series' biggest shock (to me at least) but there are several more surprises, twists and turns that may be coming along. 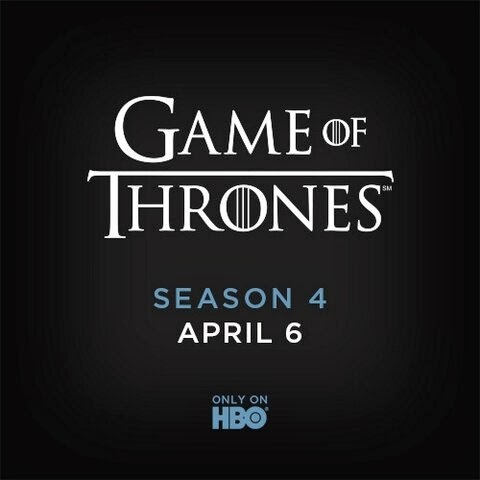 My understanding is that the new season will cover at least the second half of book three, A Storm of Swords, which for my money is the most powerful and most disturbing book in GRRM's series. But who knows what the show's writers, producers and directors will choose to include or leave out from that book, how many new storylines they will create from their own imaginations, or how much material they will pull ahead from books four and five. We'll just have to wait and see.